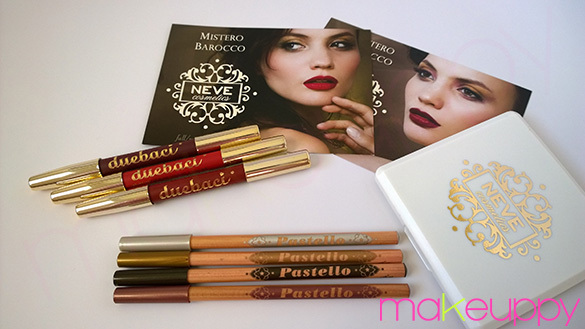 Mistero Barocco is inspired by Italian Baroque art with its charming golden lights and mysterious dark, deep colors. 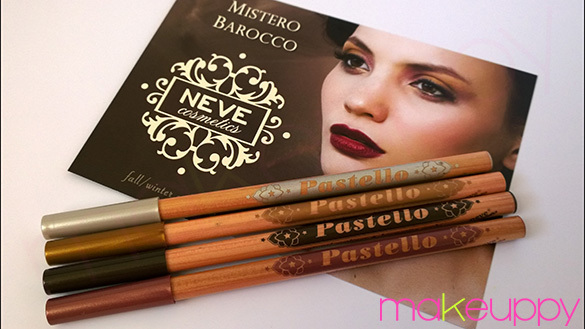 It’s composed by 4 new Pastello eye pencils, a limited edition palette with 4 eyeshadows and a brand new product, DueBaci, a Lipliner+Lipstick available in 3 shades. Let’s begin with eye pencils. 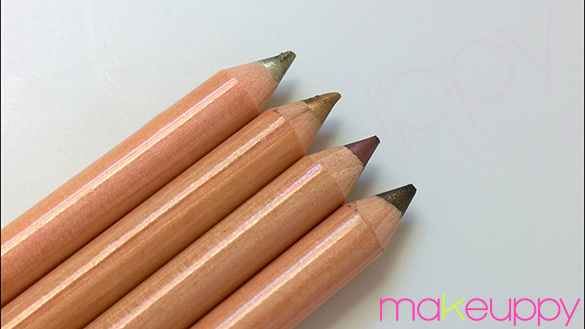 As you know, Pastello (€4.80 – 1.5g – PAO 12M) is a very easy-to-blend eyeliner with a natural formula. I already talked about it in a previous article so I’m going to focus mainly on the colors. All of them have a great pigmentation. Vizio and Leone have a wonderful metallic finish -I’ll use them a lot during the Holiday season-. 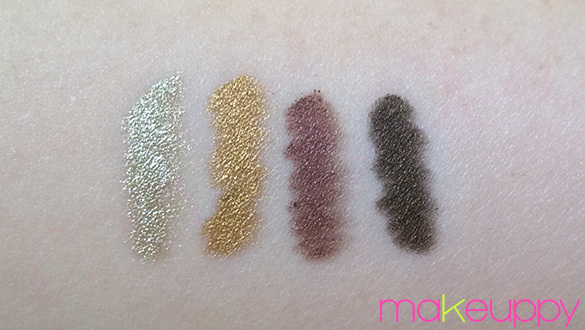 But my favorite shade is Acero: a natural soft brown shade with a pink duochrome effect that is so pretty! I’m using it almost everyday and I love how it goes with my green eyes.